Reserved (But No Parking!) | Normative Signs: The Poetry of "Ought"
This one was sent to me by a friend of a friend. 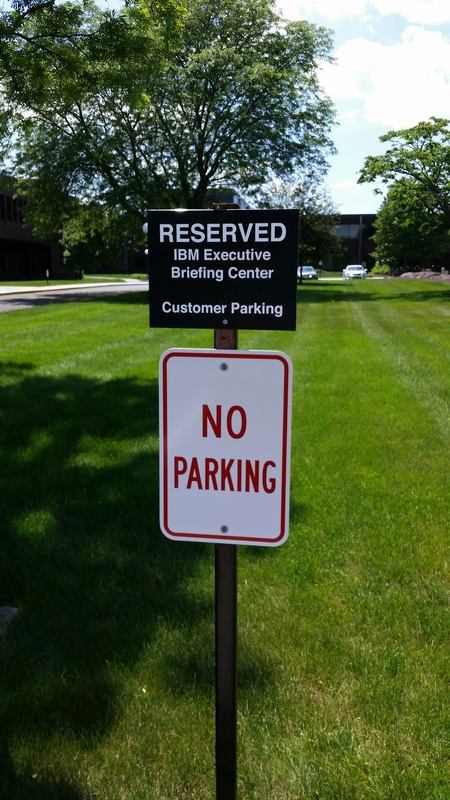 These signs are posted at an IBM facility in Poughkeepsie, NY. The backstory, apparently, has to do with fire codes (there’s a hydrant nearby) that resulted in the need to designate this area “No Parking,” but apparently no one thought it necessary to remove the RESERVED sign.